Starting a low carb diet means different choices at the grocery store. Those middle aisles can be a savage place. Don’t panic. According to rumor, there are +/- 55,000 low carb choices. Don’t worry, this is a short list of the most commonly used low carb foods. Get organized before you shop. It’s incredibly simple: choose any item on the list and you’re safe. The items included in the printable grocery list are outlined below, along with tips and recommendations for making great low carb choices in every section. View, print, or download and save the grocery list. Any type or cut of meat is fine. For the best health, choose grass-fed or organic meats, avoiding antibiotic, pesticide and grain residues. Good in a pinch and better than higher carb alternatives. Any type of seafood is fine- except imitation crab meat. Make sure to check the labels if you’re buying any frozen varieties. 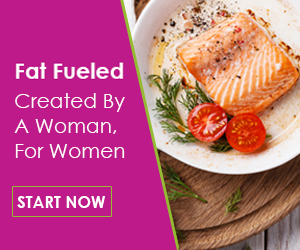 Omega 3 fat levels are higher in wild caught seafood. Vegetables are a main event on any low carb foods list. Low carb veggies replace sugary side dishes and add incredible variety to meals. Zoodles are mock noodles made with zucchini (and other firm veggies like carrots). Zoodles may be eaten raw or cooked, opening up lots of possibilities: mock Alfredo, fettuccine, spaghetti, pad thai and zoodle pasta salads. This inexpensive wonder creates uniform, curly noodles from zucchini, cucumbers, carrots, sweet potatoes, turnips and other round or long vegetables. Veggie spiralizers are great for making curly fries, frittatas, salad garnishes and of course, zoodles. Veggie Spiralizer Bundle includes a premium storage bag, cleaning brush and zoodle recipe book. The Inspiralized Cookbook transforms more than 20 vegetables and fruits into delicious meals that look and taste just like your favorite originals. Zucchini turns into pesto spaghetti; jicama becomes shoestring fries; sweet potatoes lay the foundation for fried rice. Fruits are an optional item on your low carb grocery list. They can be added once your weight and health are stable. Some people can handle the sugar in fruit and still be healthy and slim, others can’t. Not sure which fruits are low carb enough? Here are 43 low carb fruits with 1 to 10 net carbs per serving to enjoy. Choose fresh, local fruit in season and stick to berries which are lower in sugar. Eat fresh fruit with a fat (peanut butter, whipped cream, cheese). It slows the blood sugar spike. Try avocados: A great snack with lemon juice or balsamic, or make guacamole for dipping low carb veggies. Almond flour, coconut flour, Carbquik baking mix. 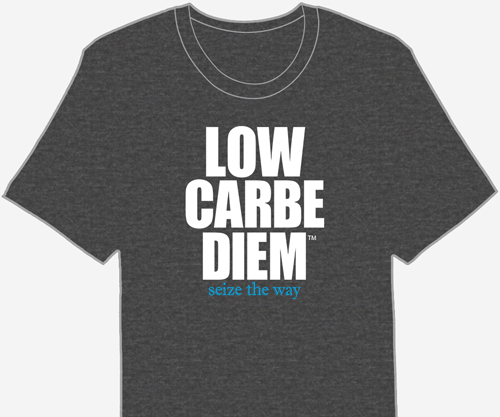 Unflavored and zero carb. Pure 100% whey protein isolate, stripped of fat, carbs, fillers, sugars and lactose. Nature’s Best Isopure isolate whey protein is available in small, 1 pound sizes (makes just under 4 loaves of low carb Soul Bread) and larger bulk sizes (most economical). CarbQuik baking mix has 90% less carbs than Bisquick. No sugar, high fiber, high protein. 3 lb box makes 90 biscuits, just add water. For bread machines or hand-baked breads. Bob’s Red Mill Low Carb Baking Mix is all-natural and Kosher, with only 5 net carbs per serving.